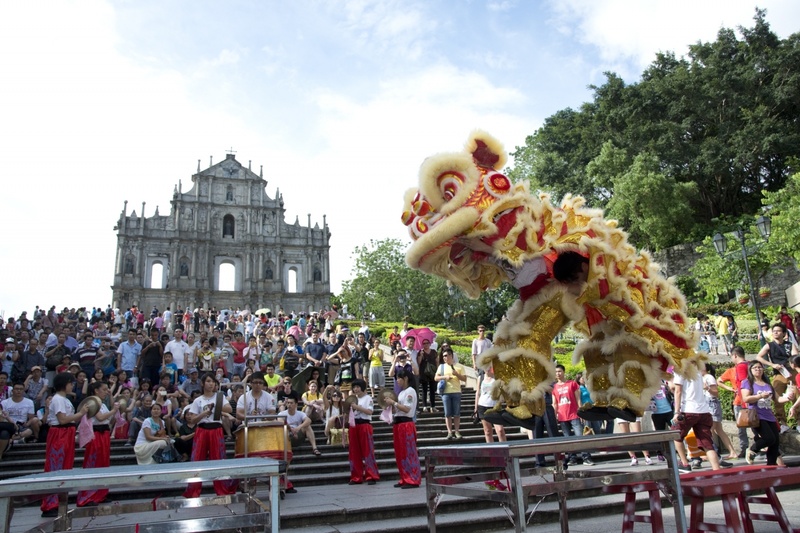 Coming from two strikingly different cultures of East and West, "Lion Dance" and "Portuguese Folk Dance" both mark their frequent presence in local festivals and promotion events. They help shape Macau into a dynamic city of cultural gems. Despite the new technology fever and the prevailing Western culture, a number of young people in Macau are ardent about the two traditional feats. They devote their time and passion to dance practice and passing on the unique traditions. 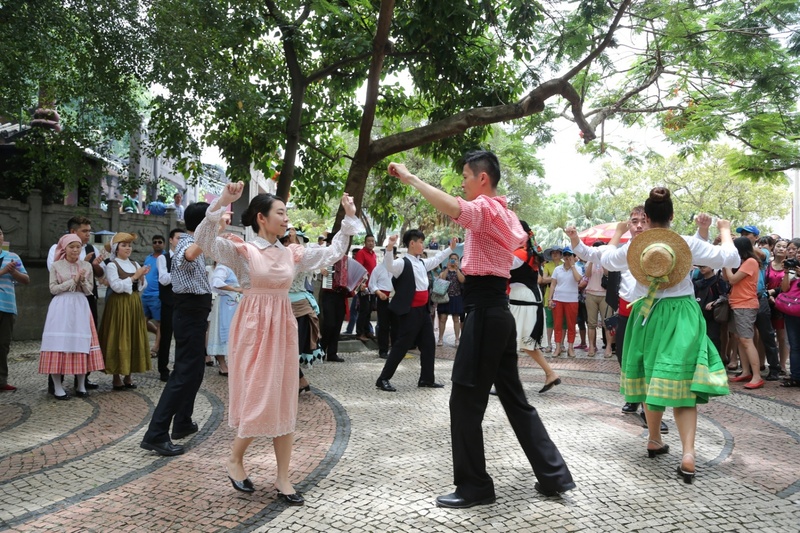 These dancers have become Macau's tourism ambassadors advocating local culture around and overseas. Inspired by his parents, Chan Chi Hou encountered martial art at a young age and fell in love with lion dancing in 2001. Dancing as a lion tail, he had to make challenging steps and jumps between narrow poles. Scars remained on his limbs after he got wounded during practice. Dancing for the past 12 years, he developed extraordinary skills, perseverance and confidence. He also learned to respect others and developed patience, calmness and sense of responsibility through teamwork. Martial art and lion dance were popular back in the 1960's. Many parents let their children practice martial art and lion dance for physical training. Lion and dragon dance were even listed as a sport category since 2007. Some however misunderstand lion and dragon dancers as those with criminal background, while others fear they or their children may hurt themselves during practice, which remains a great concern among parents. It is therefore hard to pass on this traditional dance to the new generation given the constraint of practice venue as well. Chan loves sport and is not afraid of getting hurt. He fights for every chance to practice at the expense of fun and leisure time. He values his team's performance more than his personal prestige during competitions. He also keeps himself in good shape and practices lion dancing regularly. 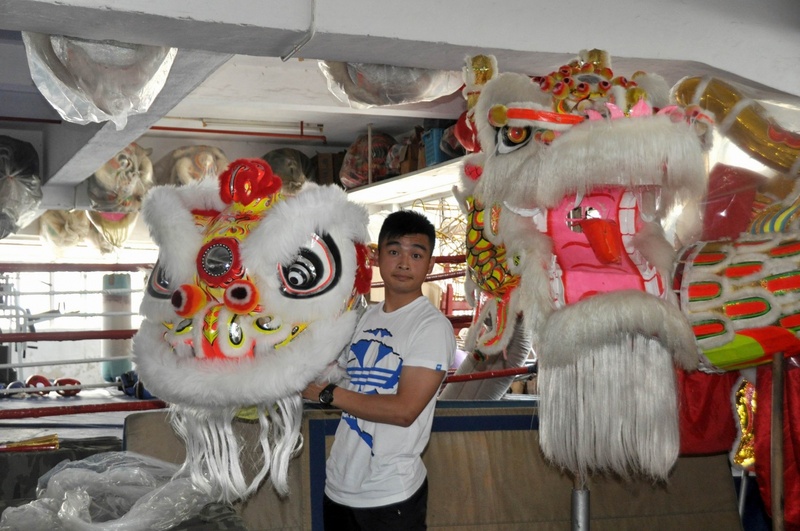 Aside from joining competitions, he and his team travel around the world to stage performance, promoting Macau and lion dance as a traditional Chinese feat. Portuguese folk dance stands for another local tradition which combines East and West elements. Verónica Braga picked up Portuguese folk dance since 2006. As a young girl, she sensed the delight of Portuguese folk dancers and their closeness like a big family. Thus she decided to go for folk dancing. Now a college student and a dance team mentor, she balanced study and dancing well in her life schedule over the past 8 years. Choosing to practice at home, she not only perfected her skills but also spent more time with family. She enjoyed everything in the dance team and made close acquaintance with other dancers. In long term, she hopes to keep dancing with the team and promote this unique cultural dance to locals and visitors. As a 13-year old boy, André Basto Xavier Dong is the youngest member in the dance team. He played soccer regularly before picking up folk dancing last year and falling in love with it. At first he felt shy to dance and it was not easy for him, but he gave a try and started to enjoy as he became familiar with the steps. While many youngsters love online games, Dong found his passion in folk dance. He once invited his friends to join but got rejected with satirical feedback. As a Macanese like other dancers, he felt especially warm when dancing with them. He grew more mature and patient while developing good time management and balance between study and dancing. 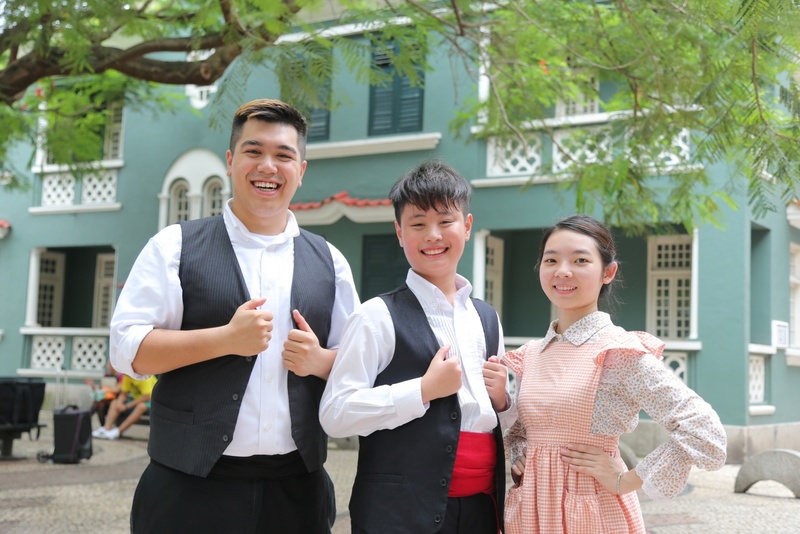 Another dance team member Pedro Miguel Manhão Sou started learning folk dance at an age even earlier than his mother, who is the President of Macau Portuguese Folk Dance Association "Macau's Heart". He has been dancing for 13 years since 11 years old. Looking back, it was his mother who encouraged him to join cultural activities and he chose folk dance. He was not very interested in folk dance as a youth but after joining the team for a long time, he came to love it more. The dance team is like a family to him, a spirit that he believes is the essence of folk dance. He once thought about giving up dancing due to work and study but eventually he chose to stay behind because folk dance means a lot to him. The dance team values mutual understanding and coordination. All teammates are equal regardless of gender and age difference, another reason why he keeps dancing. As he shared, being interested in dancing is crucial while incessant learning and practice helps one grow.